Get the basics of how to get to your next holiday destination in Malta. Malta is one of the smallest countries in the world and, believe it or not, not all of the world population really knows where or how does one get to Malta. Malta is an island, so you can reach it via air as there are many companies flying to Malta, or via water from Italy with a Catamaran. Even if many people think that Malta is part of Italy, actually Malta is a Republic. Malta is situated just underneath Sicily and on top of North Africa. In the past, colonies would dub it as the real centre of the Mediterranean. And today, it still represents a hub for people from all across the two continents, Africa and Europe. What is the cheapest way to get to Malta? Europe is blessed with a couple of good low-cost airlines like RyanAir and EasyJet among others. So getting to Malta from practically any country in Europe can be really cheap. By ferry, you can get to Malta from Sicily with a 2 hour ride which leaves early in the morning or late evening. Virtu Ferries operate the transit between the two islands and they have recently invested in a new boat (the one in the picture below). 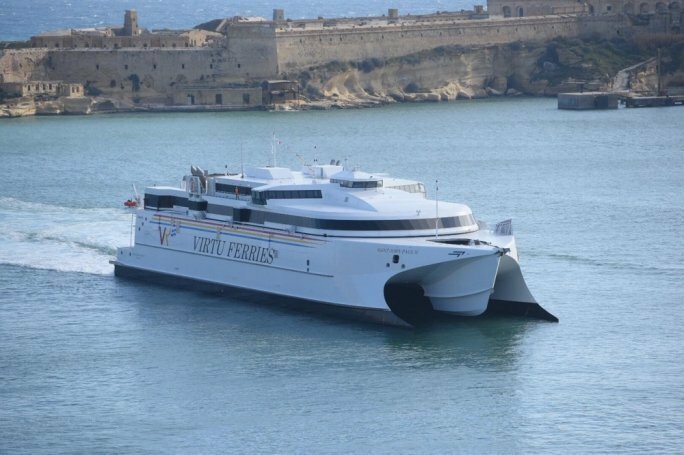 If you do decide to come to Malta be ferry, this carries with it an advantage, because with some extra cash, you can come to Malta in the comfort of your own car. Check here the prices or the updated time schedule here. Read also: How to get to Blue Lagoon. Saint John Paul 2, second largest Catamaran in the world. 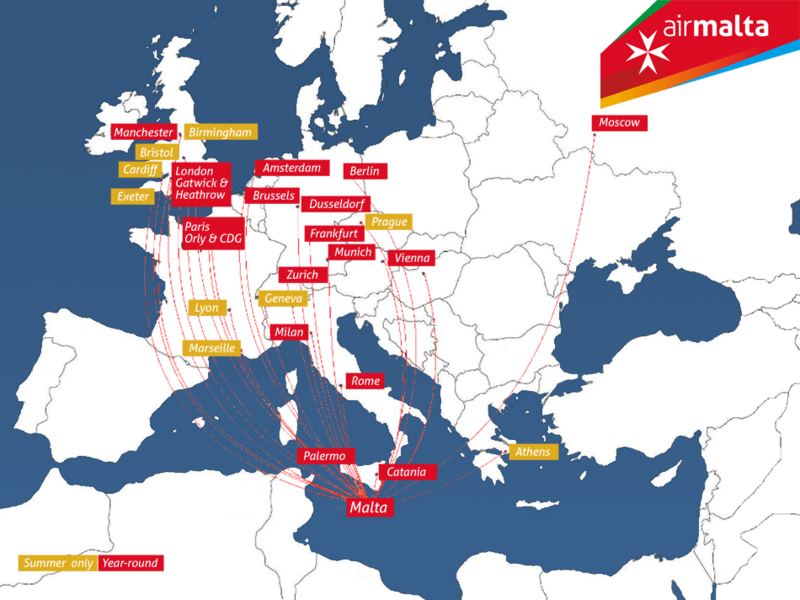 Sicily is also connected with Malta via air in 40 minutes flight thanks to the Maltese national airline, AirMalta and some low cost airlines. AirMalta in particular, operates from various countries in Europe and if you do some research you will manage to find some really good prices. The busiest season for Malta is summer. But the island is surrounded by tourists almost all year round. However, looking for flights from European destinations can get really cheap if you do the right homework. Direct flights from Rome or Madrid can be cheaper than 50 euros! So get digging and scan the websites as SkyScanner for the best prices for your holiday in Malta.